Bell I., Clinical Ecology. Common K.P., Bolinas, 1982. Black A.P., A new diagnostic method of allergye disease. Pediatrics 1956. Bryan W.T.K., Bryan M.P., Cytotoxic reaction on the diagnosis of food allergy. Laringoscope 1969. Bryan W.T.K., Bryan M.P., Diagnosis of food allergy by cytotoxic reactions. Trans Am. Soc. Ophthalmol. Otolarynggol. Allerg. 1976. Bryan W.T.K., Bryan M.P., The application of in vitro cytotoxic reaction to clinical diagnosis of food allergy. Laringoscope 1960. Brostoff J., Challacombe J., Food Allergy. Baillière Tindall, London 1987. Brostoff J., Gamlin L., Food Allergy and Intolerance . Bloomsbarry, London, 1989. Buist R., Food Intolerance. Prisma, S. Leandro, 1984. Businco L., Allergia e Istologia immunoallergica. Allergologica, Roma, 1983. Cromwell H.W., Centeno J.A., The reaction of the white blood cells to specific precipitates. Journal Immunology 1929. Dickey L. D., Clinical Ecology. Charles C. Thomas, lllinois, 1976. Fennel P.G.S., Cytotoxic test for food intolerance. The Lancet, April 30, 1983. Ferguson A., Food intolerance and allergy definition and spectrum of cllinical features. Bibli. Nutr. Dieta 1991. Hill A., Against unsuspected Enemy. New Orizon, Bognor Regis, 1980. Holopainen E., Palva T. et al., Cytotoxic leukocyte reactions. Acta Otolaryngol 1980. Hughesv B.C., Chemically defined diet in the diagnosis of food sensitivies trans. Am. Soc. Ophthalmol and otolaryngol Allergy 1977. Jackson J.A., Riordan H.D., Neatherly S., Comparison of two cytotoxic food sensitivity tests. American Clinical Laboratory. March 1991. Lewith G., Kenyon J., Dowson D., Allergy and Intollerance. Merlin Press, London 1992. Mackarness R., Non tutto è immaginazione. Pan Books, London, 1976. Tradotto e stampato in Italia dallo Studio Medico Ecologia Clinica, Roma, 1988. 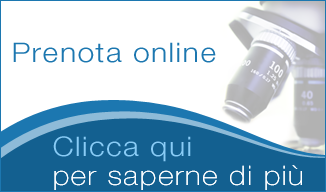 Mandatori M., Rizzo C., Ecologia Clinica e Intolleranze Alimentari. Tecniche Nuove, Milano, 1993. Mandatori M., Manuale delle allergie e intolleranze alimentari. Tecniche Nuove, Milano, 1993. Mandell M., Five Day Allergy. Crowell, New York, 1979. Philpott W., Kalita D)., Brain Allergies. Keats, New Canaan, 1980. Podleski W.K., Cytodestroctive mechanisms provoked by food antisens allergy, 1985. Randolph G., Moss W., An AIternative Approach to Allergy. Lippincott & Crowell, New York, 1980. Rapp D., The Impossible Child. P.A.R.F.. Buffalo, 1986. Saben, Atti congressuali. Tecniche Nuove, Milano, 1998. Selye H., The Stress of Life. Mc Graw Hill, New York, 1984. Sinkovies J., Horvath J., Cytotoxic Human lynphocytes; from in vitro testing to immunotherary. Acta microbiologica hongarica 1993. Squier T.L., Lee H.J., Lysis in vitro of sensitiad leukocytes by ragweed antigen. Allergy 1947. Stromp M.A., The beauty of the cytotoxic test. Preventative Medicine Forum Fall 1981. Ulett G.A., Penry S.G., Cytotoxic food testing and leucocytes increase as an index to food sensitivity. Ann Allergy 1974. Updegraff T.R., Food Allergy and Cytotoxic tests. Trans Am. Soc. Ophthalmol and otolaryngol Allergy 1977. Watana J.C.,Craig R.G., Hanks C.T., Precision of new methods for testing aloy cytotoxicity. Dental materals. Jan 1992.